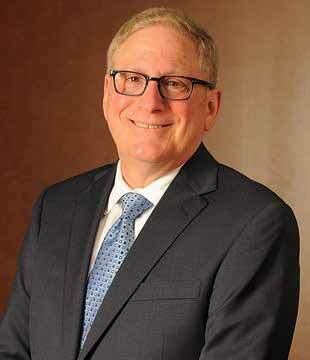 DAVID L. CAPLAN is a Partner at GWC. David first joined the firm in 1990. Since 1996, David has co-managed GWC’s Workers’ Compensation division and established himself as a respected member of the Illinois Workers’ Compensation bar. Throughout his career, David has diligently represented thousands of injured workers with tenacity and integrity before the Illinois Workers’ Compensation Commission and the Circuit and Appellate Courts of the State of Illinois. As someone who takes great pride in maximizing his clients’ benefits under the Illinois Workers’ Compensation Act, David has consistently emphasized the importance of vocational rehabilitation for those workers whose injuries prevent them from returning to their former professions. He can provide numerous examples of clients who have been successfully retrained to function in a new capacity to support themselves and their families. David is licensed to practice in Illinois and Pennsylvania. He is a member of the Workers’ Compensation Trial Lawyers Association, the Illinois Bar Association, and the Pennsylvania Bar Association. 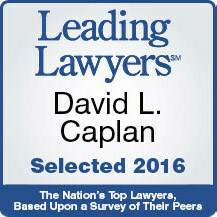 David has also been recognized as a “Leading Lawyer” based upon a survey of his peers in Illinois workers’ compensation law.